The world as they know it is being taken over and destroyed by the Kkore, ancient beings from beyond reality that seem unstoppable. The long-awaited, final collection of BOOM! 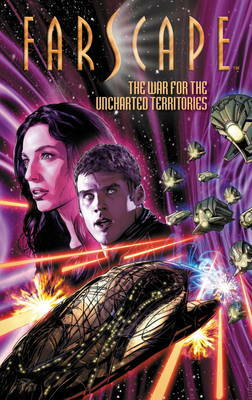 Studios Farscape comics, collecting "The War for the Uncharted Territories"! In this epic 12 issue storyline, co-written by Farscape creator Rockne S. O'Bannon, John, Aeryn, and the entire crew of Moya face their most dangerous adversary ever: the Kkore.